This is Waldo. 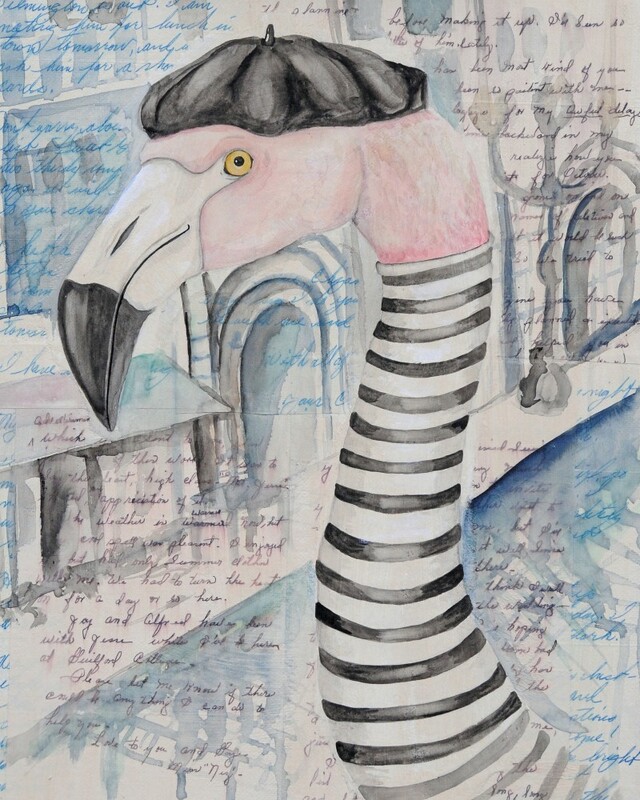 He had been hanging around the studio as a flamingo sketch for many months now and is happy to be able to make his debut as a whimsical watercolor painting. He is 11″x14″ and is painted over vintage letters and envelops from the 1950’s.